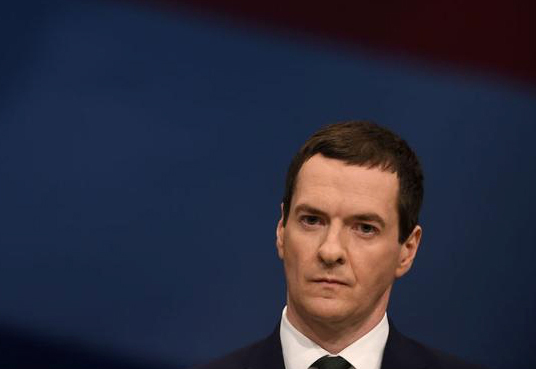 George Osborne is under mounting pressure from within his own party to rethink controversial plans to cut tax credits for working families. Former Cabinet minister Andrew Mitchell said the plans to cut £4.4bn from the welfare bill by reducing tax credit payments to more than three million families may be “tweaked” and said he expected the Chancellor would keep an “open mind” on the issue. Many Conservative MPs are concerned that the cuts will hurt the party’s claim to support the working poor. Labour has branded the cuts a “work penalty” and compared their likely political impact to the poll tax. Rachel Reeves, Labour MP for Leeds West writes in the Guardian: "A staggering one in four workers in the UK are paid less than the living wage, up from one in five two years ago. The problem of low pay in our country persists, and changes to tax credits are about to make things much worse. "With six million people not earning enough to cover the basic cost of living, tackling in-work poverty is crucial, and I welcome an increase in the minimum wage." The Conservative government’s tax credit cuts (link to Huffington Post news article) could be stopped in their tracks under a last-ditch plan being plotted by cross-party campaigners, The Huffington Post UK has learned. A rarely-used ‘fatal motion’ is set to be tabled in the House of Lords this week, followed by a vote next week, with the specific intention of preventing George Osborne from putting his controversial £4bn proposals into law. The government has been forced to defend its plans to cut tax credits after a former Tory Conservative voter broke down in tears on the BBC's Question Time (link to BBC News article) and accused the party of betraying her and thousands of others. Michelle Dorrell, a mother-of-four, who berated a government minister on the panel of the current affairs programme, later revealed that she was now willing to offer qualified support for the new Labour leader Jeremy Corbyn. An online campaign to stop disability hate crime has been launched after the Police Service of Northern Ireland (PSNI) recorded 44 attacks within six months. The actual number of attacks is believed to be higher as many victims are hesitant to speak to police. The crime is defined as "any incident perceived to be on the grounds of the person's physical or mental disability by the victim or any other person".